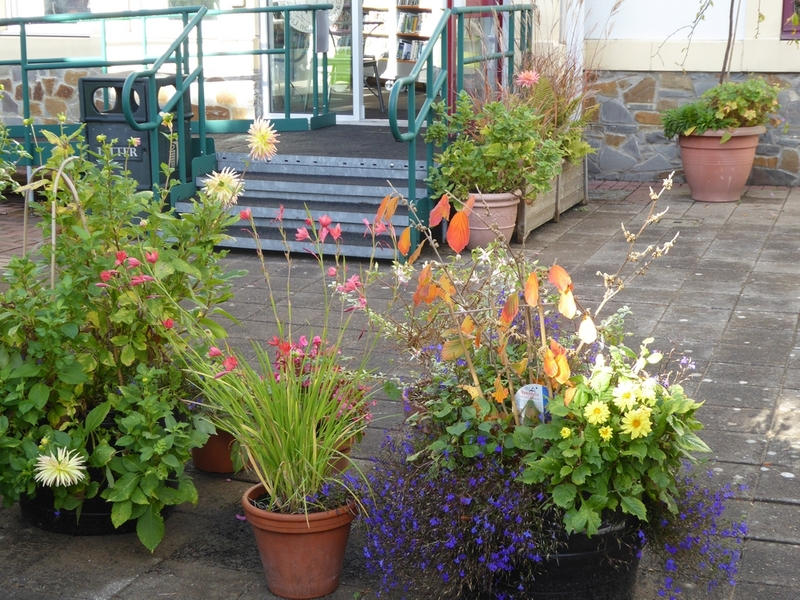 The Friends of Chepstow Library Reading garden was set up in May 2012 to help transform the area outside the library from a neglected litter strewn, short cut to the car park, into a library garden which could be used for all the community. The land belonged to the library and was made secure with gates and railings as part of the 2012 library refurbishment. The Friends group was established to turn this space into a community garden. We are a voluntary group and raise all the funding necessary ourselves.